Azerbaijan has improved its environmental performance in the report prepared by prestigious international research. The report, finding cause for both optimism and serious concern, looks at nine different factors that measure a country’s performance in such areas including health of residents, the state of water resources, sanitary standards, nature and the environment. Azerbaijan has improved its performance jumping 32 ranks compared to 2014. The report that comes out every two years showed the Land of Fire has made significant progress by 18.1 percent for the last 10 years scoring 83.78 points this year. The country got ahead of CIS countries, leaving behind Russia one step behind. The report put Azerbaijan into second place among Eastern Europe and Central Asia countries, thus leaving behind Turkey, Russia, Ukraine, Kazakhstan and Belarus. The top five “superstars” who are leading the way as beacons of national sustainability are Finland, Island, Sweden, Denmark and Slovenia. After gaining independence, the country stood face to face with heavy environmental and ecological problems, especially spread in capital Baku, coastal stripe of the Caspian, Sumgayit and other cities. Realizing the seriousness of the problem Azerbaijan took control in its hands, issuing large-scale state programs directed to the sanitation of the ecological situation during the past 7-8 years, and investing in billion manats projects. Azerbaijan may take the first place in the world on measures and efforts taken to improve the environmental situation in the country, Chairman of Green Movement of Azerbaijan Farida Huseynova believes. “For the past 10-15 years, the number of protected areas, national parks and nature reserves have increased dramatically in the country,” she told Azernews. To prevent the deforestation, the government is ensuring gas provision to the country’s regions and villages. This also improves the social situation of the population, since payment of gas is cheaper than buying firewood, according to the expert. Huseynova also voiced her position over the protection of wild nature, stressing that not only the government but people should also take care of the environment and economically treat the natural and energy resources. “Some years ago, the residents of the regions killed wild animals to protect their livestock from predators. To protect the wild nature the government pays compensation to residents who suffered losses, with the condition that they will not kill wild animals any more,” she explained. Pollution of Kura and Araz trans-boundary rivers is a severe problem that concerns Azerbaijan for many years. The largest river in Transcaucasia – the Kura – is of great importance for Azerbaijan’s economy. The river originates in Turkey to go through Georgia and Azerbaijan into the Caspian Sea. For many years Azerbaijan is fighting with the impact of untreated waste water and sewage industry dropped to the water in the territory of Georgia and Armenia. 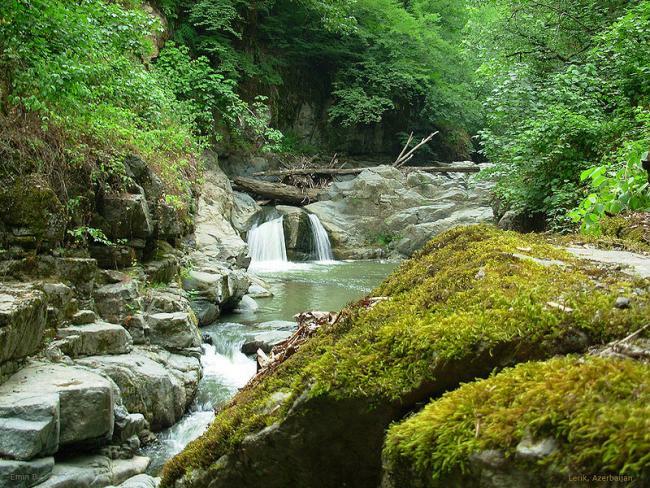 Azerbaijan is doing extensive work to improve the ecological state of the river on the international level. “For the past 4-5 years the government have conducted several projects on modernization and reconstruction of water mains and sewer lines in rural areas located on the banks of these rivers. Special equipment cleans waste waters, and sewage water do not dump directly into these rivers,” she underlined. Being oil and gas rich nation, Azerbaijan, have achieved significant prosperity thanks to the “black gold”. However, elimination and recycling of waste arising in the course of production of oil and gas remain one of the biggest problems for many oil-rich countries today. In the early periods oil was extracted by open method, and a low level of technology has led to pollution of lands. Azerbaijan’s energy giant SOCAR and BP has long been focused on preserving the unique ecology of the Caspian Sea, Azerbaijani nature and health of the people. Currently, these companies provide more funds for the establishment of treatment systems for cleaning and landscaping polluted areas. They are working on preventing consequences of the pollution by eliminating economically inefficient production. SOCAR spent 50 million manats ($31 million) on environmental projects in 2009. Despite Azerbaijan spends large investments, creates necessary infrastructure on unilateral protection of the Caspian Sea from pollution, other Caspian countries are still using out-of-date technology. The country also uses innovative environmental practices, carrying out some projects in support of minimizing environmental pollution by transport. By shifting to the Euro-4 ecological standard in 2014 Azerbaijan was seeking to reduce the emission of vehicle pollutants into the atmosphere and improve the environmental situation in the country. Large-scale innovative environmental project initiated by IDEA Public Association and “Greencar” is aimed at bringing environment-friendly vehicles to the country, thus supporting the minimization of vehicle emissions and promoting a healthy environment in Azerbaijan. In the future, the project will also feature electrical vehicles including cars, buses, motorcycles, and bicycles. Moreover, Tesla Model S, the world’s first premium electric sedan is available for purchase in the center of electric vehicles GreenCar. Since 2014 a “Green Marathon” project initiated by IDEA has paid special attention to the protection and enlargement of green areas and has successfully implemented a number of projects to this end. The main purpose of the marathon is to eradicate the threats caused by the decrease of green areas, and to contribute to the environmental protection by promoting tree planting. More than 5 million trees have been planted during the massive tree planting campaigns. With the aim of preserving the "animal kingdom" IDEA also makes every effort to protect the nature for future generations. The Caucasus Big Five project identified by the association envisages protection of five animals such as brown bear, imperial eagle, grey wolf, goitered gazelle and Caucasian leopard, considering symbols of the Caucasus and the region’s main living beauty, being under threat of extinction. Meanwhile, within the “Plant a tree, make a gift to life” project implemented by Coca-Cola, more than 100,000 trees will be planted in Baku and its suburbs by 2020. Fighting the environment polluters remains a key challenge for government. For instance, burning household waste, which highly toxic substances into the air, is strictly prohibited in the country, threatening offender with a fine from 500 to 8,000 manats [roughly $310 - $5,000]. Thanks to this measure the number of waste combustion cases has been decreasing from year to year. Besides, the government has increased the fines for those who encroach on wildlife habitat, for instance, burning leaves in the areas closely located to animal populations.